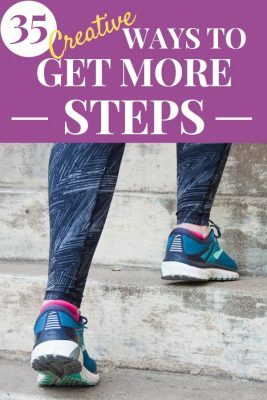 Use these creative ideas to get more steps to help you lose weight, get healthier, and become more active until you’re hitting 10,000 steps a day! As someone who has lost 100 pounds, I understand the struggle. When you gain weight, it takes more energy to move. It feels better to sit than to get sweaty, out of breath, and uncomfortable when you get up and move. Your knees can ache, your back can get sore, and you get tired. But, when it comes to realistic ways to exercise, walking is one of the best ways to get moving again. You can walk any time, anywhere you are. You just need a good pair of shoes (I absolutely love my Brooks Adrenalines). The thing is, you lose weight when you burn more calories than you eat. Don’t expect walking to drop all of those extra pounds if you are still overeating lots of junk food. It doesn’t work that way. You can’t out-walk a bad diet. But walking is a great way to burn extra calories! A 30-minute brisk walk can burn an extra 150-200 calories, which really adds up when you are combining your daily walks with healthy food choices. Do You Have To Get 10,000 Steps A Day? 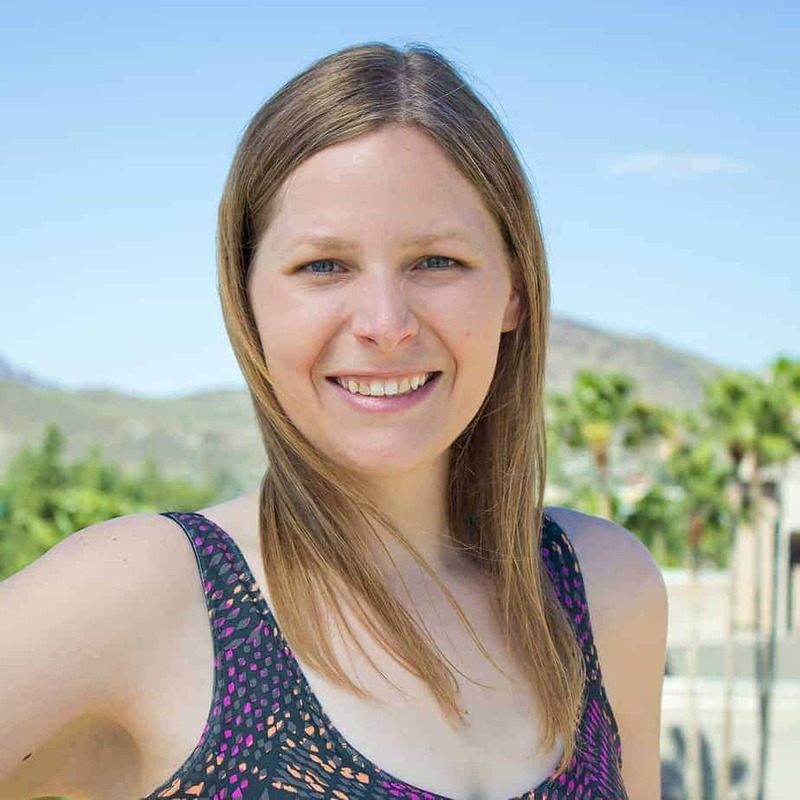 If you’ve been around my website at all, you know I believe in the power of one small change. If you are averaging 3,000 steps a day right now, don’t expect yourself to change that to 10,000 tomorrow. Drastic changes like that usually don’t stick. Instead, set realistic SMART goals that challenge you. Focus on making consistent changes that you can carry on regularly and continue to build on instead of jumping to the extreme. 10,000 steps is equal to approximately 5 miles of walking and helps you achieve the recommended 150 minutes a week of moderate exercise a week. It’s not a magic number, but it does show a good amount of daily activity (which equals more calories burned!). Are there risks associated with both? Absolutely. But the side effects related to smoking are still much worse than those associated with too much sitting. There is no denying that society makes it easy to sit a lot while you work, watch TV, drive, play on your phone, order delivery pizza, order your groceries from your couch, and more. All of the conveniences we have make it so that we rarely have to move because we can do most of life from our phones and computers. So, even though sitting isn’t as harmful as smoking, there is still harm done to your physical and mental health. I absolutely love my Fitbit Charge HR. I wear it daily and it has been one of my biggest sources of motivation to stay active in my weight loss and weight loss maintenance. There are all kinds of options out there from a very simple pedometer to an Apple Watch, but I still love Fitbits the most because of the option for step challenges. I used to participate in weekly step challenges with women in my church and now do the same with my cousin who lives multiple states away and her friends. It gives you a realistic view of your activity level. I’m often shocked by how little I’m actually moving. Don’t depend on your feelings to accurately measure your activity. It makes it easy to set goals. When you see your steps, you can take that number and set realistic goals to improve. If you are walking an average of 4,000 steps a day now, make your goal 4,100, then 4,200. It celebrates your progress. As you set those new, bigger goals, you can see your progress and celebrate it along the way. Fitbit has you earn trophies and badges and all kinds of other fun things along the way. Don’t skip the step challenges. I already mentioned them, but the “Workweek Hustles” have been the single most motivating part of my Fitbit. Whether it’s with family members, close friends, or strangers, do the step challenges! Start them yourself or join someone else’s. I work from home and our house is quite small. I bet I could easily get through a whole day in under 1,000 steps. But, because of all of the reasons listed above and more, I’m not going to let that happen! The more you build these little things into your regular activity, the more active your normal days will be, making you healthier and happier. Here are some ways I use to get more steps in a day. This has contributed to most of my steps over the years. Instead of sitting on the couch when friends call, I stand up and walk. If it’s nice weather, I walk outside. If it’s not, I pace around my house. I have a border collie who doesn’t like to move unless I’m moving with him, so walks are a must in our house! I highly recommend getting in the habit of going on a walk first thing in the morning, even if it’s just to the end of your block and back. It will help wake you up and your dog will love it! 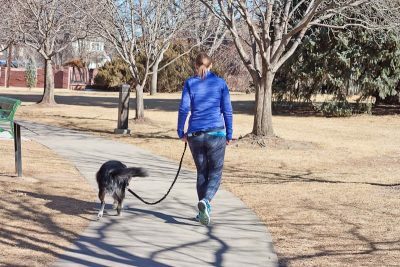 I usually take my dog on a longer morning walk and a shorter afternoon walk each day. You’ll notice a lot of my recommendations combine chores with steps. I like to make the productive use of my time, so I love when I can multi-task! My kitchen is small, but when I put dishes away one at a time instead of grabbing a handful of utensils that all go in the same area of my kitchen, I add more steps for each thing. You can do this with clothes when you do laundry, too. It’s not efficient, but you sure get lots of extra steps in! I will admit that when it’s freezing cold outside (I do live in Colorado, after all), I don’t do this, but a lot of the time I do! Grab the milk and walk it inside. Then come back for the eggs. Then the bag of frozen stuff. Now, I am a HUGE fan of grocery pickup. It saves me so much time. But when I actually go into the store to buy my groceries, I get a lot of steps in. You get steps in walking from your car to the store, all around the aisles, then back to your car, loading it up, and returning your cart. 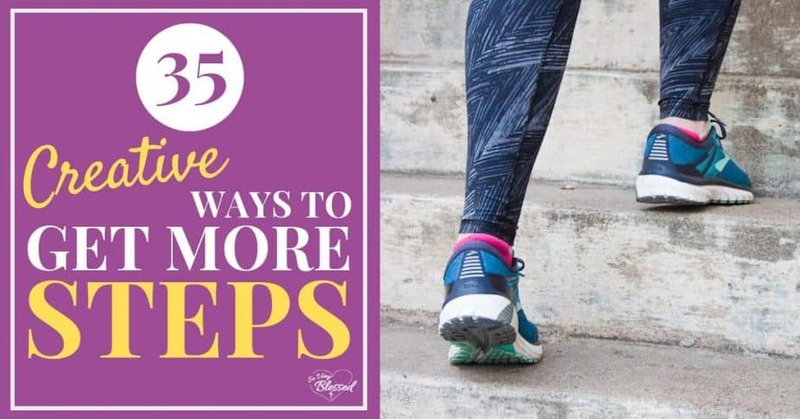 It’s a great way to add extra steps in! Recommendation: Sometimes my Fitbit doesn’t always count all of the steps if I keep both hands on my grocery cart, so I usually do most of my pushing/steering with my right hand and let my left hand hang/swing like normal. I have a niece (9) and nephew (7) who love to play. 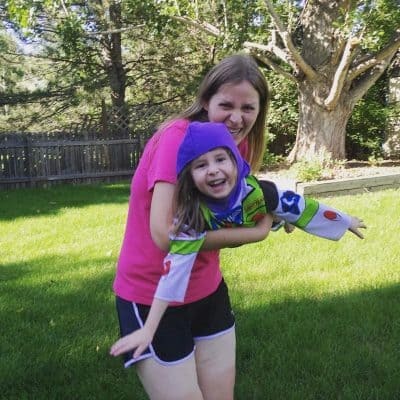 They love throwing footballs, playing tag, hula hooping, skipping, hop-scotching, and playing hide-and-seek. It’s tempting to say no when I’d rather relax on the couch and talk, but it’s a great way to get steps in AND bond with my family through play! It can be tiring, but it is so rewarding. If you are used to saying no to those activities, try saying yes. Kids don’t care if you are slow or they have to modify the activity for you. They just want to play with you! Ideally, I’d walk during the TV show too, but that just never happens for me. But when I have a trigger (like the show breaking for a commercial break) and I know it’s just a short burst, standing up and walking can be a fantastic way to add up those steps! Whenever you go out for anything – the grocery store, picking your kids up from school, church, work, to a restaurant, etc – park farther away. Start with just a few parking spots back from your regular spot, then keep pushing it farther away. Remember those tough days of having to get up and walk to your TV to change the channel or turn up the volume? Go back to those days! It’s easy to make piles of stuff that we plan to deal with later. Maybe you have a pile of clothes you need to take upstairs later or a bunch of toys that need to be moved down to the living room. It’s efficient to pile things up and take them in one fell swoop, but you can get a whole lot more steps in if you take them one by one back to their designated place right after you are done with it. I meet friends for coffee all the time. It’s a typical “thing” to do. Meet at a park instead to walk while you talk. You get your quality time in while you exercise and you save a few bucks on coffee! Instead of just standing in place and staring at yourself in the mirror while you brush, walk in place or pace the house for more steps. I told you before that I like to be efficient with my time, but I found myself just standing and waiting for the microwave to beep quite often as I was heating food. Take those few minutes and get a couple hundred steps in! Often times, we just sit when we get to an appointment and we are waiting to be called in at the doctor’s office, for a business meeting, for an interview, or a counseling appointment. Instead of sitting, take those few minutes to wander around. I like to take that time to look more closely at the artwork on the walls or pick up a magazine and wander with it as I glance through it. I am embarrassed to admit that I just assume we need to drive everywhere. There is a shopping center nearby with a pharmacy, a grocery store, a coffee shop, a car repair place, and a donut shop. We have gone to all of those places before, but it rarely occurs to me to walk there, even though it is less than a mile away. If you have places close by, break the assumption that you have to drive. Plan some extra time into your errand and walk! When you have the option, choose to take the stairs. Bonus – walking up stairs burns even more calories because of the extra effort it takes to move up the incline! Some Fitbits have the option to set “move reminders” that alert you when you have been sitting awhile and need to get up. Those are fantastic reminders, especially when you are sitting at a desk all day. I know how easy it is to get consumed by work and just forget to move! If you don’t have those alerts, you can still set an alarm or a reminder on your phone for certain times throughout the day. Aim to get at least 250 steps per break (which should be less than 3 minutes of walking). If you work in an office, take short breaks throughout the day to hit the water fountain. It will help you get more steps and you will stay hydrated. You’ll also get even more steps when you go to the bathroom later! Those weekly step challenges on Fitbit are great for keeping you motivated AND inspiring your friends and family to get active with you. 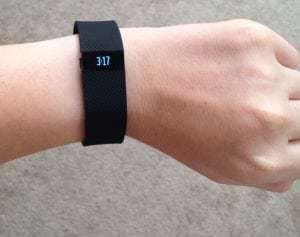 If you don’t use a Fitbit, you can still challenge your friends to a weekly step challenge, you just need to do a bit more work to organize and track it. You probably know running a vacuum over your carpet quickly just once probably isn’t picking up all of the dirt and debris. I just read that it can sometimes take 10 times to clean an extremely dirty area. Instead of standing in the same place and moving the vacuum to and fro, go over the whole area once, then back over it again, and repeat as many times as you need. That will keep you moving and get more steps as you clean. Have you ever texted your spouse or child to tell them something when they were just in the next room? Or do you work in an office where you email your coworkers info that would be easier to just drop by and tell them? Get up and go talk to them directly to get those extra steps in! There are walking devotionals that are a fantastic way to get your steps in while you hear about God’s Word. You can eat and walk at the same time or you can eat first and then take 5 or 10 minutes to walk before you break is over. When I worked as a sign language interpreter at a school, I would often walk around campus during my lunch break. It was a great way to relieve stress and enjoy some time outdoors in the middle of my workday. Just like you would write down a doctor’s appointment or business meeting, schedule your walking time into your week. This is another way to get your workout in while you work or relax (depending on what you listen to!). Walk on a treadmill or outside while you listen to an Amish fiction novel or Amy Porterfield podcast (two of my favorites!). Riding lawnmowers are awesome, no doubt, but they take all of the walking out of that yard work. Use a push mower (even if it is a gas mower that helps you propel). You’ll get so many more steps in! Check your area for nature parks, museums, pretty hiking trails, or new shopping areas you want to explore. We got a new Scheel’s in our area last year and it is a HUGE store to explore, giving you tons of steps while you wander and take it all in. Recently, a meet-up popped up in my Facebook feed. It’s just a woman who loves to walk who started a meet-up to invite others to join her. She goes to a local park every Saturday morning and walks for two hours. People are invited to join her for as long or as little as they want to. Look for a similar meet-up in your area or start one yourself! It’s a great way to meet new people while you exercise. Want a great way to add more health and happiness into your day? Throw on your happy music playlist and dance! Sometimes I dance it out by myself while I’m doing dishes or cleaning. Sometimes I dance it out with my husband when he gets home from work to start the night with fun and laughter. You don’t have to be good at dancing or athletic in any way. Just get up and move to the music! 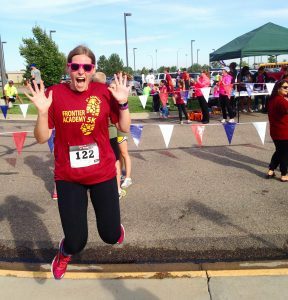 Many people don’t know that you don’t have to be a runner to do a 5k race. Most 5ks are open to walkers, as well. Find a 5k walking plan to “train” for your race, building up your endurance as you walk. Races are so much fun AND you get an awesome t-shirt (my favorite part of doing 5ks besides the snacks at the end of the race). If your feet hurt when you walk, you aren’t going to want to walk very often. I used to think shoes were shoes, but when I started becoming more active, my Payless sneakers just weren’t cutting it anymore. Go in to your local walking or running store and get fitted just once (that’s how I fell in love with my Brooks’ Adrenalines and they are the only running/walking shoes I’ve worn since!). 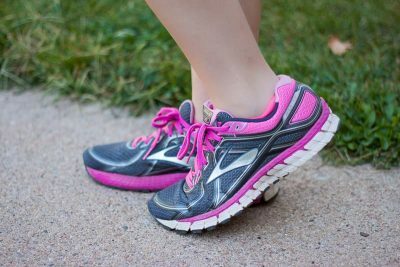 Having comfortable shoes makes a huge difference and will make it so much easier to get your steps in. I live in a fairly small city. We don’t have a ton to see and do, but our downtown area is pretty cool! There are beautiful murals painted on many of the buildings and lots of sculptures to see. Park in your downtown area and find the hidden gems your city has to offer by walking around on foot. 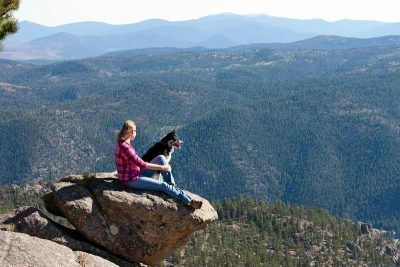 She has a great selection of walking videos on YouTube that are free and you can do at home or wherever you are. You can also buy videos or programs to do at home if you’d prefer. There are all kinds of walks to support good causes out there. 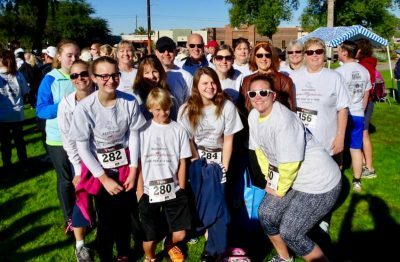 You can walk to support breast cancer in the Race for the Cure or participate in the Walk for Compassion to support Compassion International. Well, I’m pretty verbose, so my prayers didn’t stop after a minute, but I walked around my house while I prayed. Praying while you walk is a great way to add purpose to your activity and make exercise an act of worship, honoring God while getting your steps in! 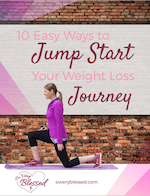 You can use any or all of these ideas to add more and more steps to your every day living on your weight loss journey or just for a healthy you!